Over the last 10,000 years or so, pigs and humans have developed a close relationship. Ever since pigs were first domesticated, swine production has played a key role in sustaining human populations for three important reasons: pigs can be fed with pretty much anything, pigs reproduce and grow relatively fast, and pigs have served as a marketable option to “store” corn, since it is used to grow pigs and, as such, can be stored and marketed when needed. 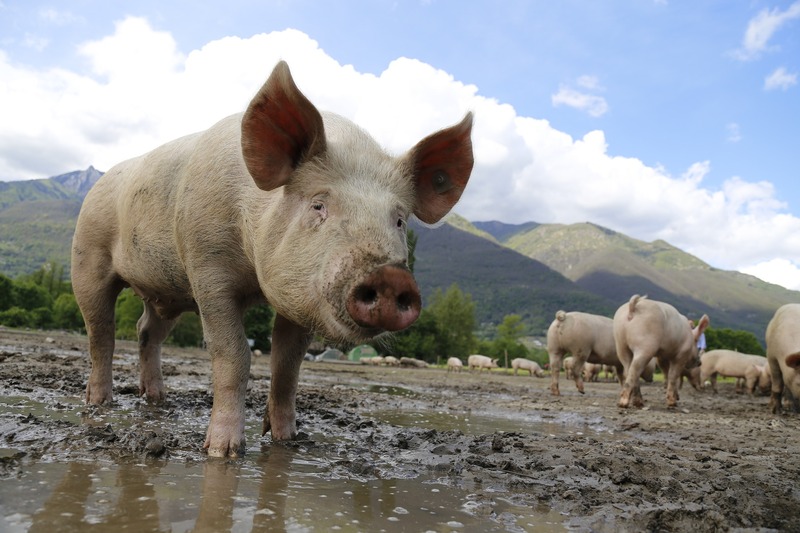 Humans, in turn, provided a relatively safe environment for pigs, which could live protected from predators and in a social environment. Back in my native country of Argentina, and similarly to the good old days in the US, the relationship was still relatively simple. Pigs would be found where corn was. Fluctuations in production cycles would happen and disease epidemics would occur, but events were relatively predictable—or at least, there was some time to prepare. That was how the history of swine production had remained relatively straightforward for thousands of years. More recently, our relationship to pigs has become more complicated. The rate of human population growth and the consequent demand for food has reached levels never seen in history. In an effort to respond to the emerging demands, the swine industry has been challenged with becoming more productive every day. Industry efficiency of weaning pigs at 21-28 days and a US national average of 2.2 litters per sow per year was impossible to imagine 100 years ago. Farrow-to-finish sites, where entire production cycle takes place, have virtually disappeared from the US, as different stages of swine production take place in often far-away places. This effort to increase farm biosecurity implies an incredibly high frequency of movements. When the cold war ended, old enemies became trade partners or competitors. US grains are now shipped into Asia to supply emerging, rapidly growing regional markets. China ships feed to the US to supply our swine industry. Disease epidemics associated with the movement of people, supplies, feed, animals, and their products have become increasingly frequent. No doubt that, as Billy Joel’s song says, “We didn’t start the fire, it was always burning.” But it is also true that with the emergence of porcine epidemic diarrhea a few years ago, and the current spread of African Swine Fever worldwide, the fire has been burning a lot recently. In response to such increased complexity in swine production, there is a need for a sophistication of the role that private, public, and academic institutions play in supporting the industry. Providing rapid solutions to emerging challenges requires innovative research and effective partnerships. In this issue of One to One, we introduce research conducted by faculty at the University of Minnesota College of Veterinary Medicine (CVM) to mitigate the risk associated with feed imports into the US. We also introduce the three most important swine production organizations in the US—the National Pork Board (NPB), the Swine Health Information Center (SHIC), and the National Pork Producers Council (NPPC). The NPB, SHIC, and NPPC coordinate their actions in support of the US swine industry, and CAHFS and the University of Minnesota swine faculty are proud partners and supporters of their mission. As an example of that partnership, CAHFS and the previously mentioned swine organizations have introduced an initiative to produce outreach materials to facilitate situational awareness and preparedness of the swine industry to emerging health threats worldwide. CAHFS has also produced a multimedia toolkit with resources specific to African swine fever. These resources are free of charge to swine practitioners and producers. “We didn’t start the fire, but when we are gone, will it still burn on?” The University of Minnesota and CAHFS are working side-by-side with swine producers to protect the industry, support the livelihood of US farmers, and supply the US and the world with healthy, safe, and affordable food.